Natalia Antelava asks if the creeping influence of the Orthodox Church in Georgia's schools is turning them into a breeding ground for radical Christianity. Natalia Antelava asks if the creeping influence of the Orthodox Church in Georgia's schools is turning them into a breeding ground for radical Christianity. Georgia's liberal politicians say only alignment with Europe and US will allow Georgia to overcome its post-Soviet past and survive as an independent nation. But in the way of Georgia's pro-Western course stands its Orthodox neighbour Russia and, increasingly, the country's own Orthodox Church. 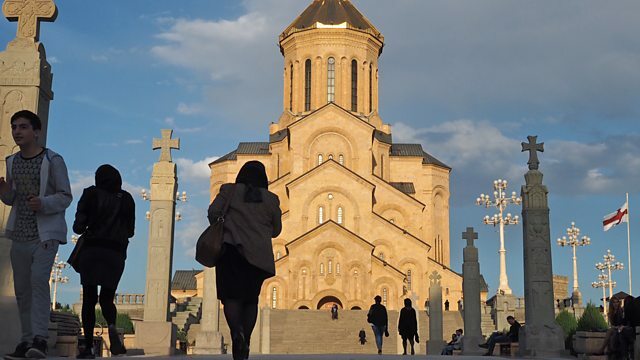 Natalia Antelava visits her old school in Tbilisi to see how the country's most conservative, anti-Western institution is influencing the next generation. Wesley Stephenson producing.